Auro Technologies surprised the cinema industry by announcing partnerships for bringing its immersive audio format to the home cinema market at the recently concluded CES. With only some 100 systems installed in cinemas around the world it would seem early for a switch of focus to the home. However, underpinning the announcement is a complex control structure and ownership of the technology and brand by Barco, Datasat (formerly DTS Digital Cinema) and Galaxy Studios. The question is what impact the announcement will have on future Auro cinema deployments. After the successful introduction of its technology in the digital cinema market, Auro Technologies announces the introduction of the immersive Auro-3D® audio experience into the consumer electronics market…Since the introduction of Auro 9.1 and Auro 10.1 at the AES Convention in Paris and San Francisco in 2006, the cinematic speaker layout Auro 11.1 was successfully launched in 2010 (Tokyo, AES Spatial Audio Convention), thanks to the great contribution of Barco, market leader in professional digital projectors and Auro Technologies’ exclusive partner for digital cinema. Until now, Auro-3D® has only been available to the public in professional cinemas equipped with Auro 11.1 by Barco around the world. Now, together with its official partners, Auro Technologies is pioneering once again and the first now to bring its revolutionary 3D Audio technology to all consumer markets. 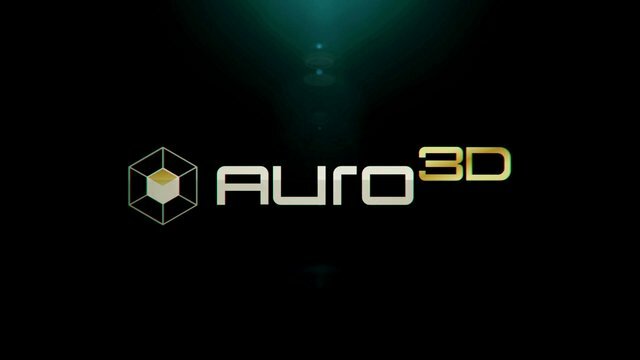 The deal will see the companies collaborate in the development of a range of processors incorporating the Auro-3D® immersive sound format. The new processors will make Auro-3D® available across price points from entry level to high-end home cinema. The other partnership that merited a press release was with DMS for distribution of the technology in most major markets (except for China). Auro Technologies full list of official partners includes: Audiokinetic, California Audio Technology (CAT), Continental, Datasat Digital Entertainment, Denon & Marantz, McIntosh Laboratory, Steinway Lyngdorf (SL Audio) and StormAudio. Then there is of course Barco, with its exclusive right to use the technology in cinemas and which has been lobbying Hollywood studios and other film producers to release their films (preferably exclusively) in the Auro format. Barco would presumably have preferred for Auro Technologies to hold off going to the home, car and mobile markets until there was greater penetration in the cinemas. While Auro Tech’s motives for making these announcements are understandable, it also hands Dolby a golden opportunity to promote its Atmos system as exclusively available in cinemas, the better to distinguish themselves from Auro-enabled home cinema systems. Barco might even want to change the branding of Auro to put some clear blue water between its cinema solution and what is being offered for the home, though this would kill off branding synergies. Although Dolby has earlier said that it is looking at the home market for Atmos, its complete control of the technology means that it can chose the timing of such a movie, a luxury which Barco did not have. Dolby was instead busy this CES talking about its Dolby Vision technology. The other interesting front that it opens is between Datasat and its one time sister division DTS, from which it was spun off. Datasat took over DTS’s cinema-related activities (both digital audio and digital cinema) while DTS focused on licensing technology for the home and other consumer platforms. (For a detailed overview of how John Kirchner did it this article from Smart Business is recommended.) With Datasat now pushing into the home, it will be interesting if this exposes any non-compete issues with its erstwhile other half. As of yet there is no announcement on content or platform partnerships for bringing films or TV shows with Auro-sound to the home, although there is probably furious courting of Netflix, Amazon and Hollywood studios going on behind the scenes.